Zing Stevia is hosting a contest to help you get active after the holidays. Enter the Gym In A Bag contest to win portable fitness gear that you can pack and take with you on the go! The prize includes: one (1) Relefree® 3M Original Steel Cable Wire High Ultra Speed Skipping Skip Adjustable Jump Rope (ARV $9.99), one (1) JJunLiM 15-175 Lbs 41inch Rubber Exercise Bands (ARV $14.99), one (1) EOTW Athletic Smartphone Holder (ARV $12.59), and one (1) Zing™ Baking Blend (ARV $6.00). Contest closes on December 12, 2016. 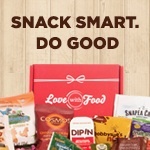 Welch’s Fruit Snacks ~ Win A Year Supply!